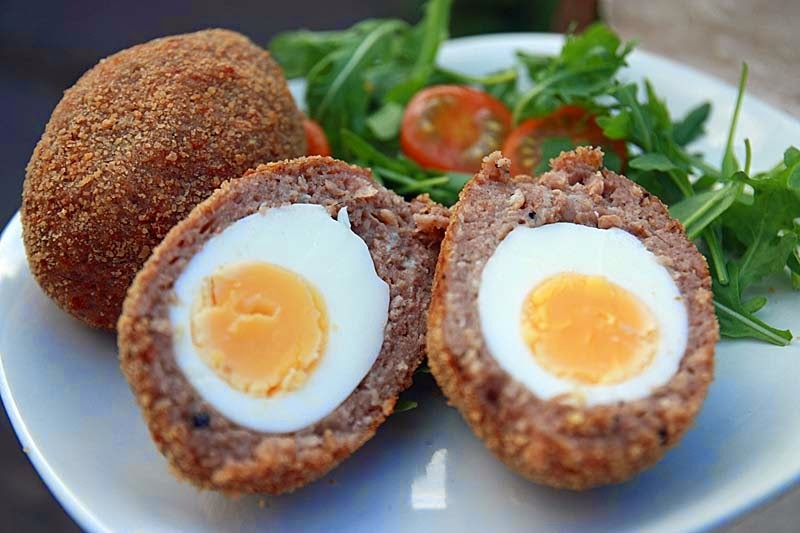 I have quite a number of Vegetarian Scotch Egg recipes on my blog making everything from scratch. I created one not that long ago when I returned back home to Wales called Welsh Glamorgan Eggs made with Caerphilly cheese, leeks and mustard; or even my Red Dragon Welsh Vegetarian Scotch Eggs enhanced with chilli flakes for fiery warmth. My last effort was last year around Halloween Beetroot Scotch Eggs dubbed Vampire Eggs, not because of garlic content but the beet red colour. After having made some Za'atar infused vegan meatballs with the Vegetarian 'sausage' mix D suggested that I make some vegetarian Scotch eggs with the remainder of the packet. Oh what a smarty pants I thought, then it dawned on me, sneaky man - You like them, but that is okay as I was more than happy to make them for him and some for me. But they were not going to be plain Vegetarian Scotch Eggs, these were going to be enhanced further, this time with some Jamaican flavours - namely thyme, all spice, scotch bonnet and limes. Oh my, they were super super tasty and zesty too. I would so so make these again. Of course you can make everything from scratch and I often do, but there are times when convenience suits. 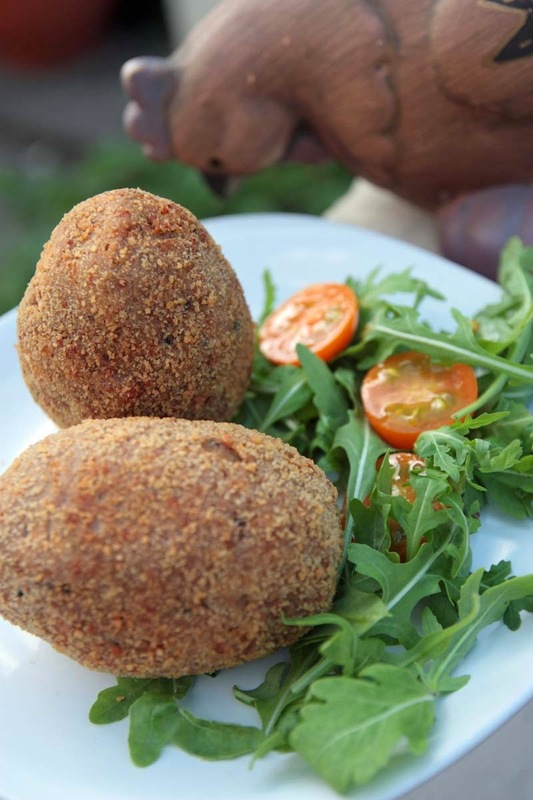 These Vegetarian Jerk Spiced Scotch Eggs were really easy to put together and quick to make if you use some ready made products: Vegetarian 'sausage' mix . You can even buy ready made Jerk paste, but I actually did make my own as I have found some shop bought ones ridiculously salty. My homemade jerk paste was sweet and fiery, I also loved the kick not just from the Scotch Bonnet, but the black peppercorns too. The only fiddly part of this recipe was removing the egg shells and moulding the eggs with the mixture, but the more you practice the easier it gets. So what was D's verdict - nom nom nom...what more can I say. He is already hinting that I should make some mores, especially as I have been boasting that they are so easy to knock up. Put all the ingredients into Optimuum 9400, food processor or blender and blitz to a smooth paste. Use as required or scrape into a glass jar. Refrigerate. This Jerk Paste will keep for a couple of weeks if covered with little oil. In a large bowl, stir Sausage mix and the Jerk Paste. Then carefully pour in 300ml cold water, stir well to combine and then let it stand for a few minutes to thicken. Divide the vegetarian sausage meat mixture into six equal portions and then using your hands begin moulding the mixture around the egg, squeezing gently to hold and bind it together, ensuring that there are no gaping holes. Mould gently until you have a nice firm and well covered egg. When ready to deep fry, roll gently into the crumbs until well coated, then deep fry in vegetable oil until golden all over. This looks gorgeous. 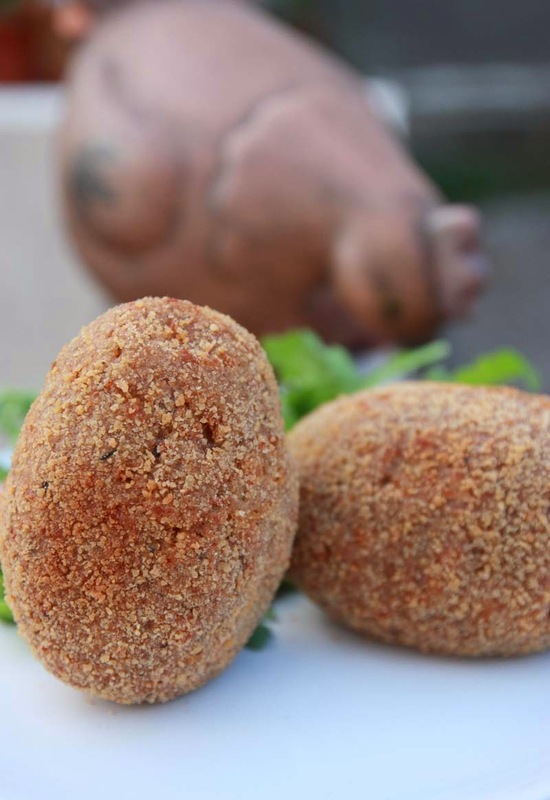 I love a scotch egg and so does The Viking so this would be perfect for him. Thank you Dom, I love the jerk seasoning it makes it very flavourful. Mmmm, these sound lovely. I'm a bit of a wuss when it comes to chilli so I would probably have to reduce the scotch bonnets but I'd give them a go! Thank you Laura. You can reduce the chilli, or even sub it with a milder paste if you so wish. Thanks Deena. I have many times made the sausage mix from scratch, but sometimes convenient products help our when your busy - I don't do it that often though. JUST fabulous thanks Shaheen and no picnic would be complete without a scotch egg!